Never Pay a House Call Again! If you could call us anytime and get free house visits on any of your appliances, and get a 10% discount on your repair, would you invest $9 a month? We invented our VIP Club so you do not have to think twice when your appliance breaks down and messes up your day. As a VIP Club member, you can just pick up the phone and request a service call at no charge! If you are ready to save your money and time, sign up today for $9, sit back and know we are on your side waiting for your call. 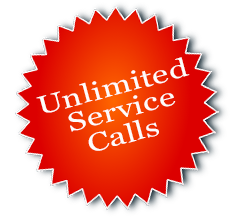 Our Members Receive Unlimited Service Calls & Priority Scheduling! Yes! I’m ready to never pay a house call again. Sign me up for unlimited service calls now. *Note: First claim cannot be made until 30 days after registration. Monthly membership requires a one-year commitment. Priority Scheduling (no more unnecessary waiting because you go straight to the front of the line!). Your home has all sorts of appliances: a fridge, stove, oven, dishwasher, washer/dryer, and more. What are the chances that just one of them will have a problem this year? It is a safe bet you’ll need something fixed. Play it smart… why not make sure you save money on the inevitable repairs, plus get a discount you can apply toward any repair?